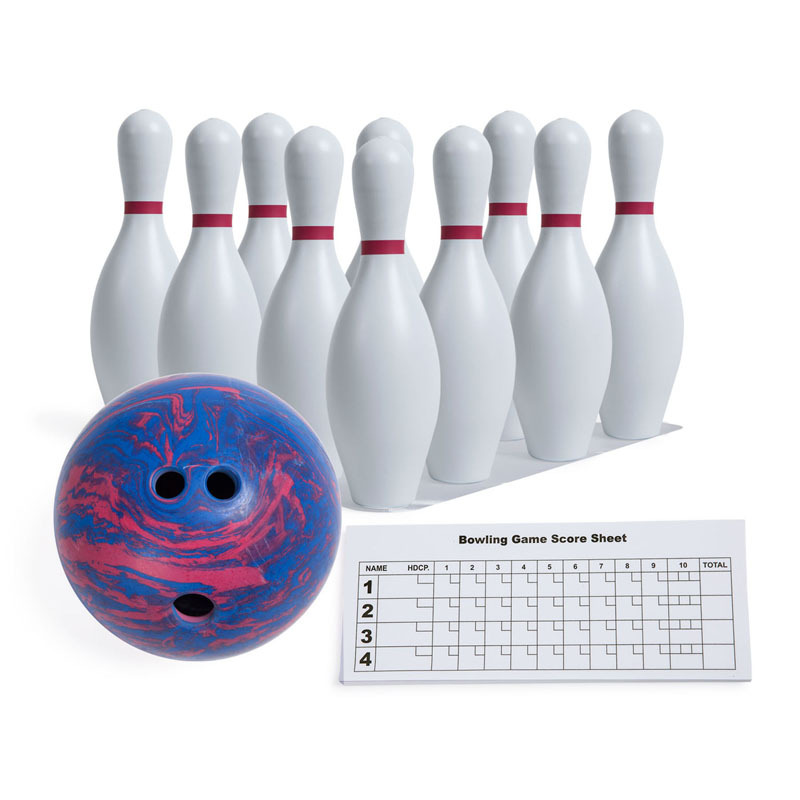 Plastic bowling pin sets. Includes one BP45 bowling ball. Includes one set of BP10 pins. Bowling ball weighs 5lbs.